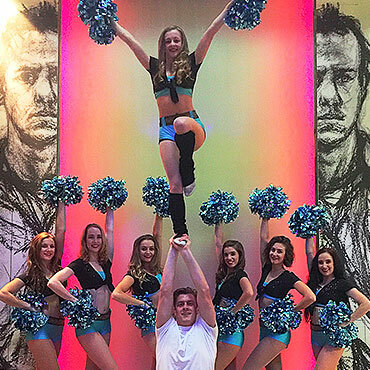 Our professional Cheerleaders can whip any crowd into a frenzy with their energetic dance routines and explosive tricks. 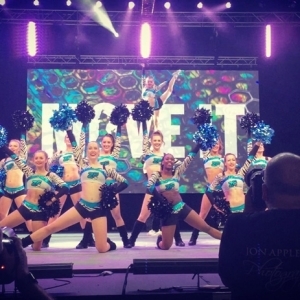 The Cheerleading performances feature slick, sharp choreography, gymnastics and tricks which never fail to impress. 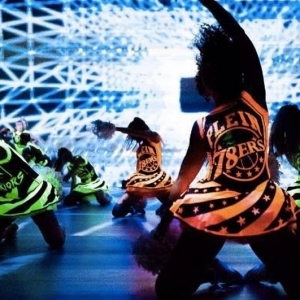 They have appeared at countless corporate events, parties and sporting events and have featured in many promotional campaigns, music videos and on TV shows too! 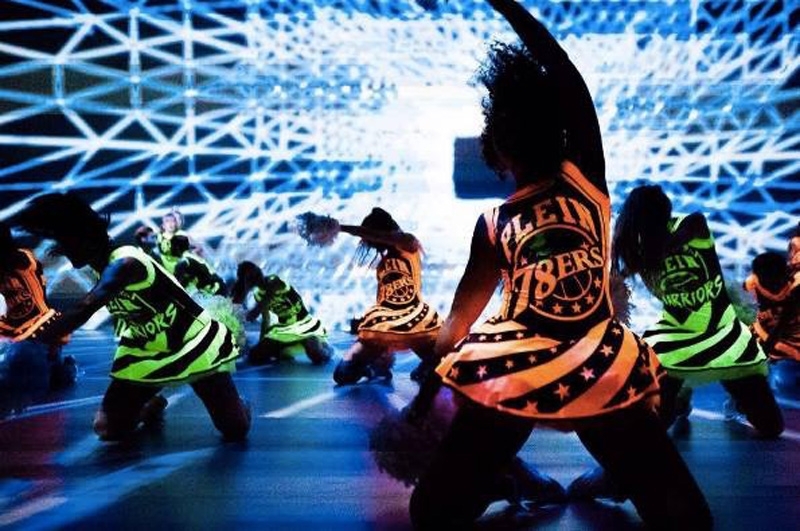 Choose between the classic Pro-Style American Football Cheerleading Squad or the fantastic Stunt team for a jaw-dropping performance. 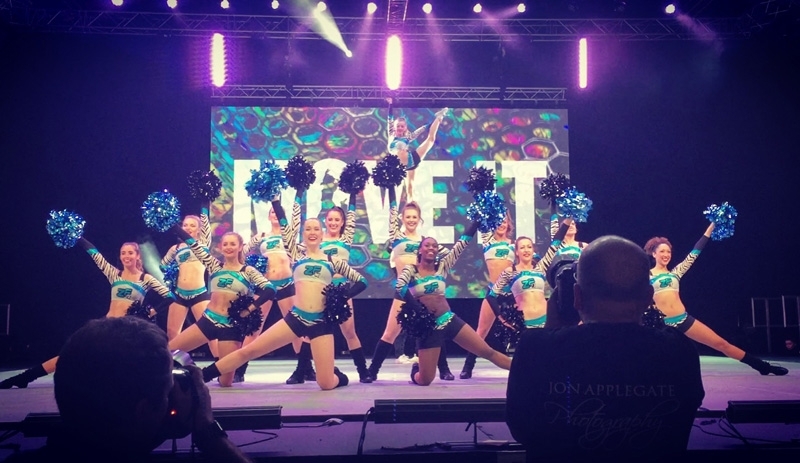 We have a selection of costumes to choose from in a variety of colours or the Cheerleaders can perform in custom made bespoke outfits adorned with company logos to promote your brand. Why not consider a Cheerleading Flash Mob for that element of surprise? Or add a fun Cheerleading dance class to get everyone involved!